The Settle Carlisle RailwayTickets, Times & TravelTimetablesWhere’s My Train? 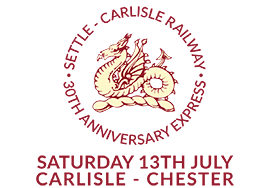 Are you on a station on the Settle-Carlisle Line? If so, you can pick up the phone inside the grey box on the platform and speak to your friendly, local signaller. Or, if you are at Appleby or Settle, you can ask the station supervisor. Alternatively, you can use your mobile phone. Simply text your station name to 84950. You’ll get a text back within seconds telling you it’s on time or how many minutes late it is. It’ll cost you about 35p. If you want details of how far it’s got, look at National Rail Enquiries and enter your station name.